Being a teenager in today’s complex world is difficult enough, but teens who are adopted have a unique struggle: a desire to discover their identity and a sense of belonging and place in the world, which often means coming to terms with their past. The Face in the Mirror, written for both teenagers and adults, brings attention to the growing and often controversial phenomenon of teenagers who want to know where they come from. 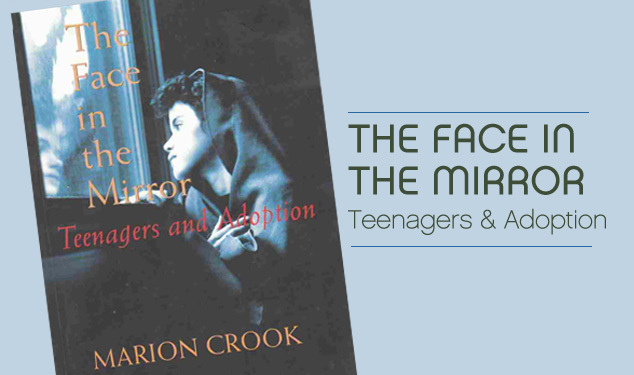 Based on numerous interviews with adopted teens, adoptive parents and birth parents, The Face in the Mirror offers a frank discussion of the issues surrounding adoption, and in particular what everyone involved should know when adopted teens want to discover their past. The Face in the Mirror articulates the complexity of adoption issues with candor and compassion.